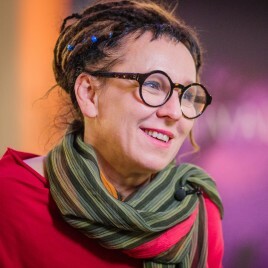 The theme of Olga Tokarczuk’s Booker Prize-winning novel is movement. The writer asks about its existential and moral meaning. Strive to calm down by becoming lively; soothe anxiety with continuous movement – such lesson can be drawn from Flights. But movement also has a dark side. In times of forced migration, when a change of place to live is an unwanted necessity for so many people, we dream about the end of the journey, we want to tame a piece of the Earth from which we will no longer have to move.